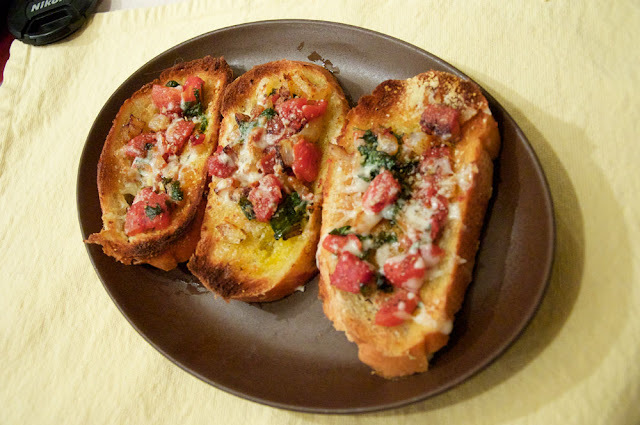 A little Bruschetta Appetizer tonight to go with our Chicken Noodle soup on this crazy snow day. Totally winged this. Saute chopped onion in Extra Virgin Olive Oil, a bit of garlic and basil when onion is lightly browned turn heat off.